Whenever possible, always use a small amount of bleach when washing towels. 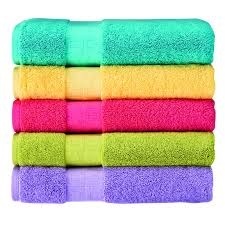 If not possible (for colored towels), pour a cup of white vinegar in the washer with the towels and detergent. Don’t overload the washing machine as they will not have room to agitate and clean thoroughly. Don’t let a washed, wet load of laundry sit in the washer for long. Hang out to dry or machine dry as soon as possible. (Machine dry for a few minutes even if you have hang dried as this will give your towels a delicious “fluffy” feeling. For a towel you are currently using, hang it so it can dry completely between uses; if thrown on the floor or folded over a towel bar, it can quickly mildew and begin to smell. If you are looking for a laundromat or coin laundry in Chiang Mai here is a list of locations which we hope will help.